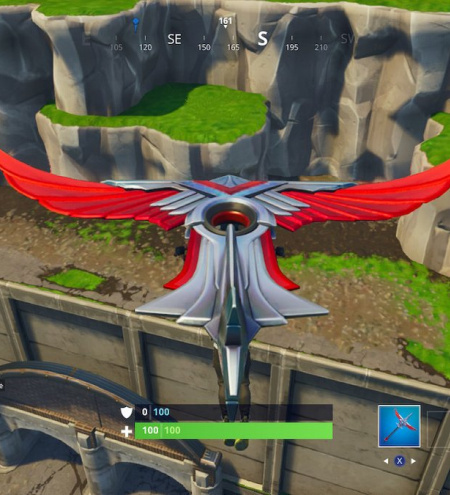 Finding the Risky Reels Treasure Map is one of the Battle Pass Challenges in Season 5 of Fortnite. 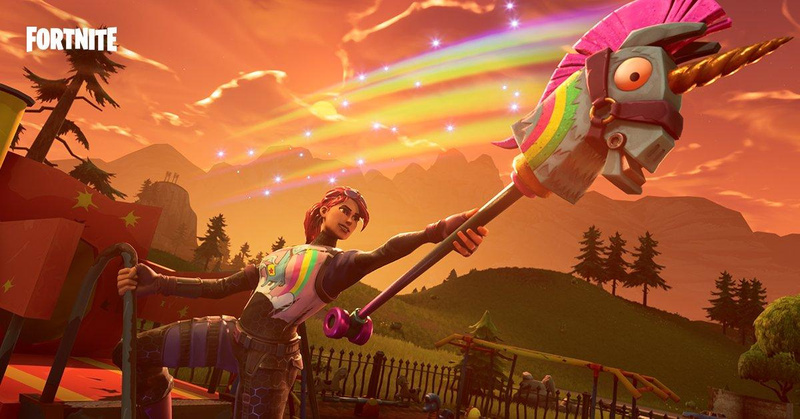 Complete it and you'll earn 10 Battle Stars that will help boost you up the tiers for those sweet Season 5 exclusive rewards. In this guide, we're going to help you find the location of the Risky Reels Treasure Map and subsequent treasure, then you can move on to the other difficult challenge this week, finding the Lightning Bolts Locations. 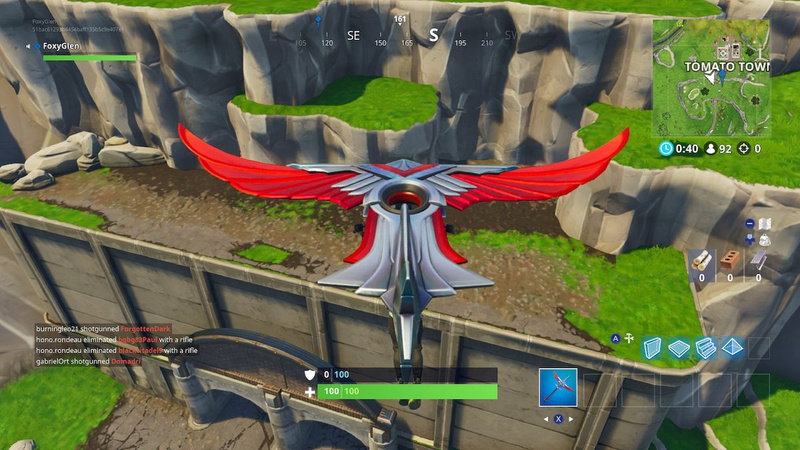 Head on over to Risky Reels and you'll find a Treasure Map. 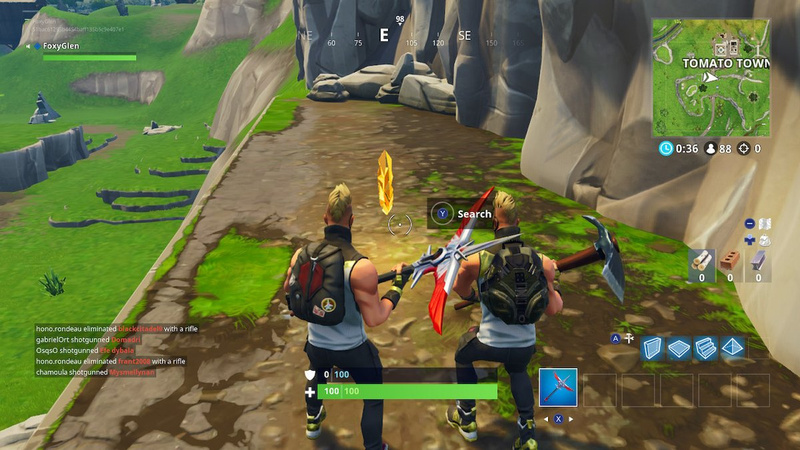 You have to figure out where the map is pointing to in order to find the treasure and complete this challenge. 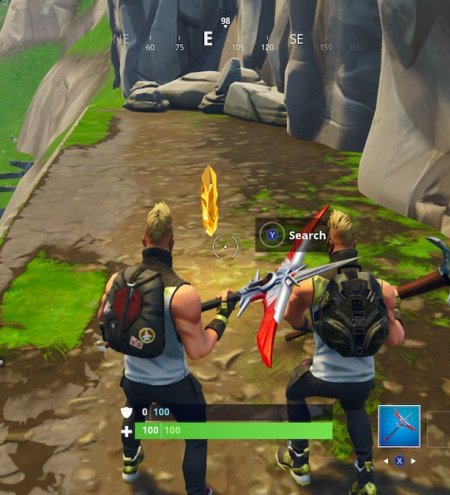 The location you need to head to is the tunnel just south of Tomato Town. Look at our map above to narrow down your starting location and glide on over there. When the tunnel comes into view, you'll want to aim to land on top of it. 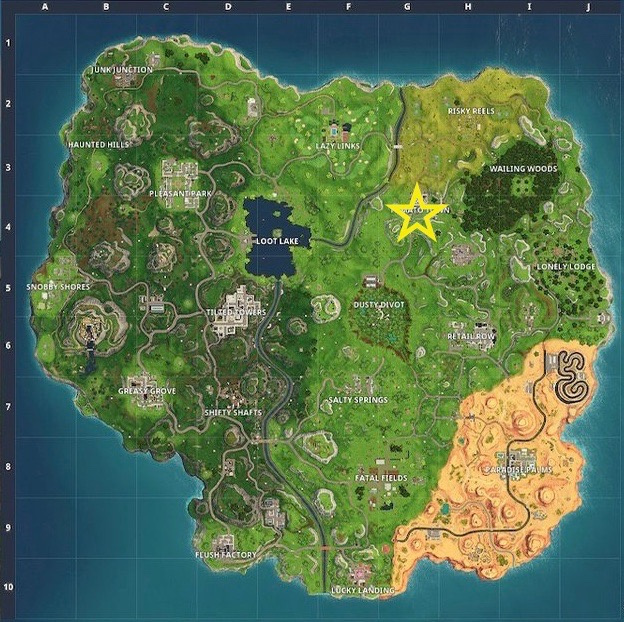 Use our images below to help you determine where you need to land, and the location of the treasure. 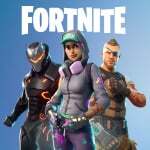 Thanks for writing these guides, I know not everyone is keen on the fortnite updates, but I appreciate them!